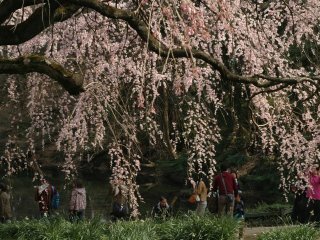 The large flowers that blossom on this magnolia tree are said to date back to the Edo era. 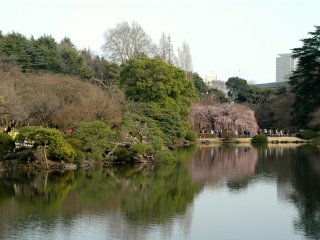 Pink blossoms reflecting on the placid waters of one of the park's many ponds. 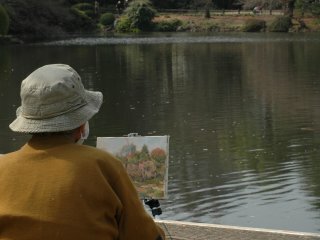 An artist tries to capture the fleeting beauty of spring on canvass. 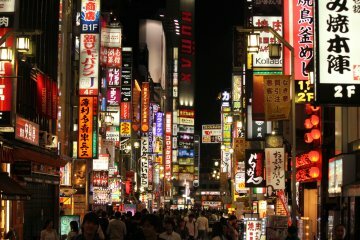 Visitors can enjoy spring's various offerings in a serene environment. 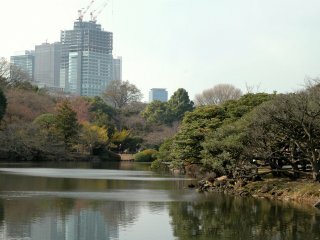 The park boasts about 65 varieties of cherry blossoms and nearly 1,100 cherry trees. 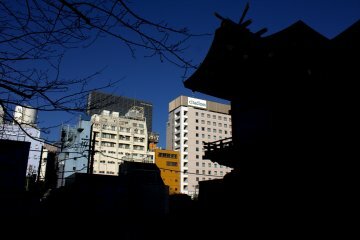 It is easy to forget that you are in the middle of the city, until you see the tips of buildings peeking above the trees. 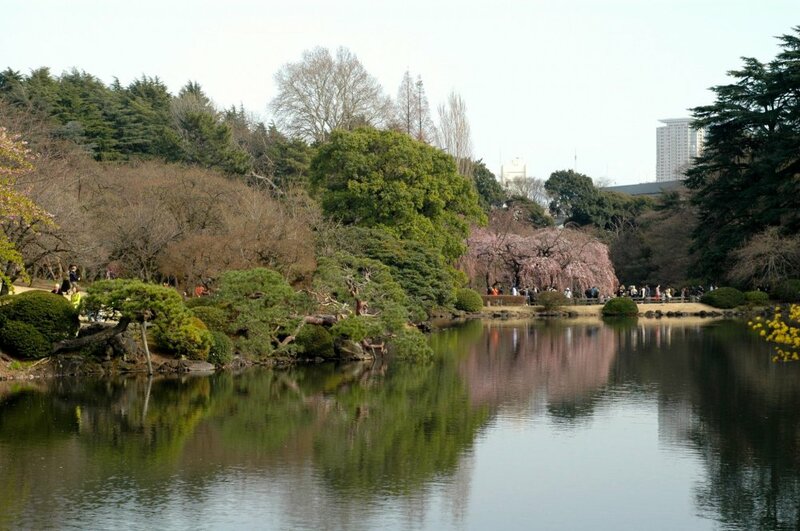 Spring is a wonderful time to visit Shinjuku Gyoen. 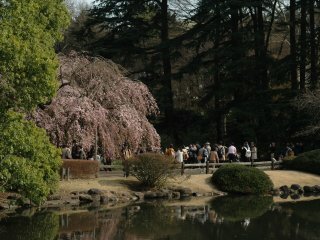 In the early spring, the plum blossoms herald the beginning of the season in deep pink. 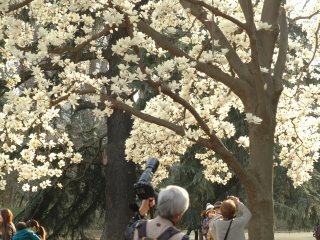 The park boasts about 65 varieties of cherry blossoms with nearly 1,100 trees spread throughout the park. 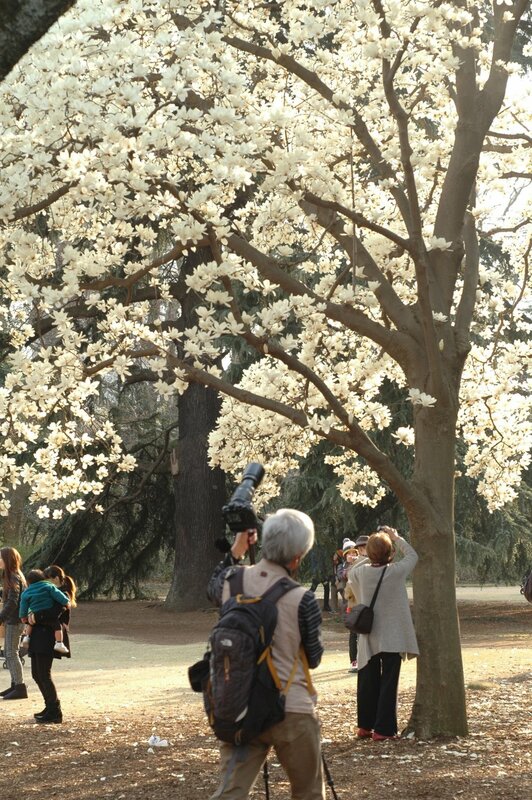 Also worth seeing are the large flowers of the great magnolia tree.